Follow Simba on his journey across the world and win free spins and free raffle tickets! We’ve got a great new competition on our Facebook page that’s paying out free spins every week. It’s based on the classic story Around the World in 80 Days by Jules Verne. Simba the Lion will be recreating Phileas Fogg’s global journey and handing out prizes along the way. Of course, it doesn’t take 80 days to travel around the world anymore. With modern transport you could do it in 80 hours and still have time for sightseeing along the way. But Simba’s seldom in a hurry, he’ll be moving at a more leisurely pace and featuring a game in every country or city that he visits along the way. 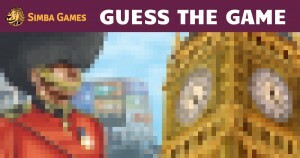 The games will appear on our Facebook page as part of simple fun competitions and each week’s winner will get 10 free spins at Simba Games. Win 10 Free Spins every Week! The best news is that every single person who takes part in the weekly competition – and gives us the right answer – will receive a ticket for our Summer Holiday Prize Draw. There’s no limit to how many tickets you can earn and you just need to be a player on the site to take part in the final raffle. Jules Verne was one of the most popular science fiction and fantasy writers of the 19th century, writing dozens of novels and short stories. His best known works include Journey to the Center of the Earth, Twenty Thousand Leagues Under the Sea, and Around the World in Eighty Days. They’re still popular today and have been made into several blockbuster films. 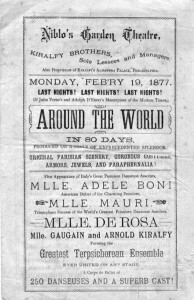 Around the World in 80 Days begins in London in the early 1870s. A wealthy gentleman Phileas Fogg accepts a £20,000 bet (more like £2,000,000 in modern money) that he can’t travel around the world in 80 days. Fogg accepts the bet and begins a series of unexpected adventures as he struggles to beat the clock on his round the world voyage. The book was published at a time when new railways and steam ships were opening up the world of travel to ordinary people and reducing the dangers of long journeys. The world suddenly seemed like a smaller place and there was massive excitement and enthusiasm for travel – something that many people today will immediately identify with. The book has all the magic ingredients of adventure, intrigue, exotic locations and the challenge of a looming deadline. It was a massive bestseller at the time and was translated into dozens of languages. Since then Around the World in 80 Days has been continually reinvented over the last hundred years as hit films, TV series, musicals and cartoons. 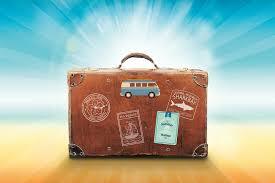 Win free tickets to our Summer Holiday Prize Draw! Remember: Every correct answer on our Facebook page earns 1 free raffle ticket. There’s no limit to the number of tickets that you can have and you could be the lucky winner of our Summer Holiday Prize Draw!